Stone is an excellent and versatile way to beautify any space in your home including your entryway, man cave, living room, or any other area of the house that needs an uplift. Most visitors get their first impression of a home at the front door. Does your entryway make the right impression? Though home styles and design preferences change, the beauty of a stone floor is ageless, and so is the initial impression it delivers. A stone floor by All Kitchen and Bath provides a unique way to spice up what may otherwise be a drab entryway with a timeless new look. 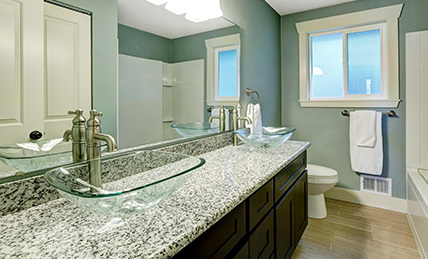 You can choose from options like marble, quartz, slate, granite limestone, sandstone. Color options are just as varied; match your wall and trimming paint to stone colors like greens, pinks, blues, earth tones, and more! Even better, no two pieces of stone are exactly alike, which means your entryway design is unlike any others on the block. Custom stone, marble, granite, and limestone entryways by All Kitchen and Bath make the right kind of first impression – we guarantee it. If you are installing a new wet bar, or updating an old one, why not have one that will make a lasting impression? 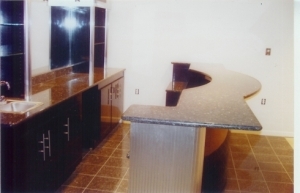 All Kitchen & Bath has substantial experience installing one-of-a-kind wet bars and countertops for your wet bar in lower levels, patios and just about anyplace else you can imagine. We will help you explore all your options so you can choose a wet bar that is not only unique, but that’s durable and lasts for years to come. Even if you only desire a few small tweaks to your existing setup, All Kitchen & Bath can show you a selection of countertops for your wet bar that will give it a whole new life. With so many color options, you can even complement your favorite team’s colors. With minimal maintenance, your wet bar will always look it’s best! Looking for a truly one-of-a-kind look? 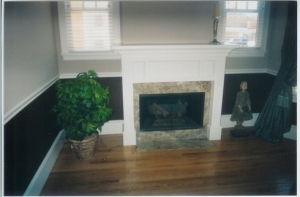 Our talented team can build custom stone fireplaces with hearths and mantels that will give you the distinctive look your home needs, and the additional heat you want. Stone fireplaces and marble hearths make any room a wonderful centerpiece for entertainment or for just relaxing in a beautiful, comfortable environment. With all the options you have, you’ll be amazed at all the different stone, texture and color options we have available to give your fireplace a look of timeless elegance. If you’re in the Auburn Hills, MI area looking for professional hearth, wet bar and custom entryway installation services from trusted local experts, look no further than All Kitchen & Bath for all of your remodeling needs! Walk into our beautiful new showroom and be inspired! It's hard to appreciate the complexity of colors and depth of design natural stone can bring your project until you see it in person. 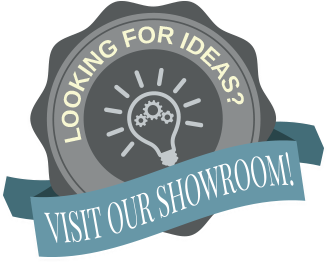 While you're there, talk to one of our specialists to help you select the best stone and color for your project. You'll get a better quality stone and a better experience when you choose a craftsman over retail outlet. © 2018 - All Kitchen & Bath. All Rights Reserved.